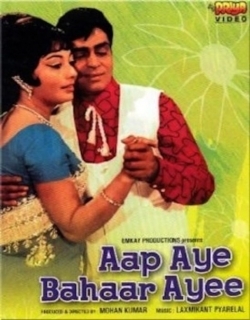 Aap Aye Bahaar Aayee is a 1971 Indian Bollywood comedy,romance,musical,family film released on Jan 01, 1971. 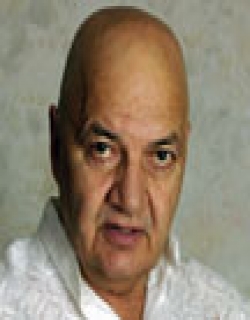 The film is directed by Mohan Kumar, produced by Mohan Kumar. Life is a Tear and Smile, a Joy and Sorrow interwoven into intricate and Complex patterns of destiny - the inevitable. . Rohit and Neena were also the innocent and angelic characters of this drama of destiny. How the coincidences of life brought them together from different paths and wove them into a inseperable thread has been portrayed in a very convincing and tender way in " Aap Aaye Bahaar Aayee. It seemded destiny ;had chiselled them for each other. Their love for each other had crossed the barriers of Physical and had projected into regions of Divine Love that had shed all human selfishness and had become sublime. . Right at this stage, human baseness and degradation played a horrid joke with them which was enough to crack ordinary worldings into piece But Rohit and Neena faced the Himalayan ordeal with death-defying courage and implicit faith in each other. It was the eternal victory of virtue over evil. The bonds of love found their fulfillment for which they were longing. Check out this page for more updates on Aap Aye Bahaar Aayee. This page provides latest and updated information about Aap Aye Bahaar Aayee (1971) movie which released on Jan 01, 1971. Aap Aye Bahaar Aayee (1971) is directed by , produced by , starring .We have also provided 0 trailers and videos, 1 photos, 0 user reviews, and 0 critic reviews.You can review, like, dislike this movie and also can add to favorites. You can also find information on showtimes, CDs, DVDs, online rental, online free watching.